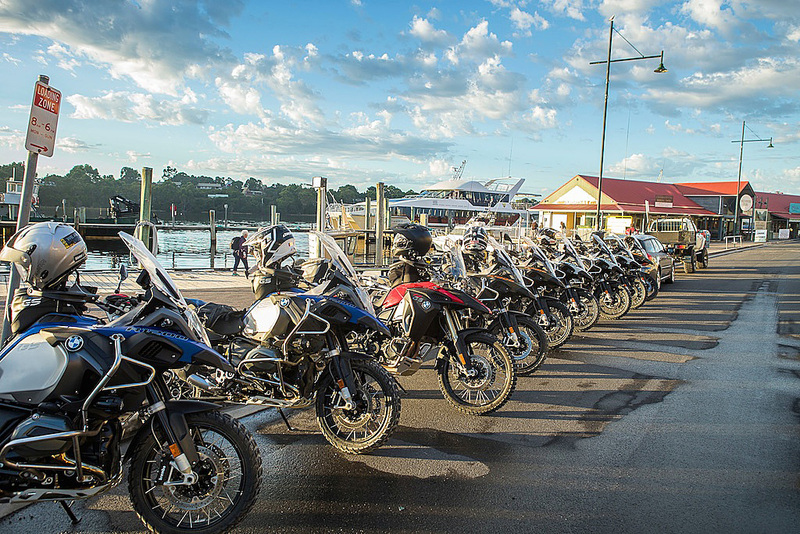 IT’S always a bit of a toss up for prospective BMW GS owners between the regular GS or the GS Adventure (GSA). All too often it comes down to price, because the GSA is usually a couple of grand more, but for some it comes down to exactly what they want to do with the bike. 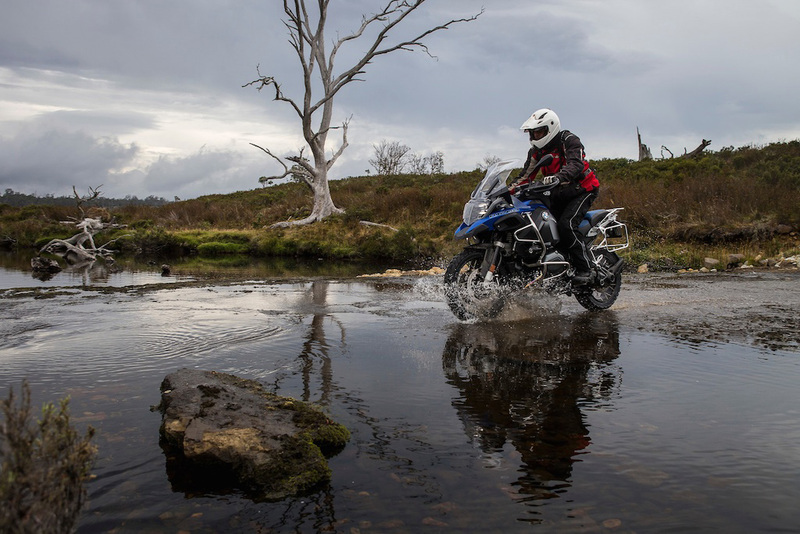 There’s a number of differences between the two liquid-cooled bikes (the R 1200 GS Wasser Boxer was tested in the May 2013 issue of Cycle Torque) which we will go into a bit later, but generally speaking the GSA can go further and into more difficult terrain than the regular GS. Those riders who want the extra capabilities of the GSA know the extra price is well worth it. I’ve heard previous model GS owners say the new Wasser Boxer cannot possibly be substantially better than the earlier air/oil-cooled versions, especially the last of them. Well I can tell you the GSA is the best ever GS BMW I have ever ridden. The engine is simply fantastic, and in my opinion is definitely smoother and torquier than the old engine, and the electronics package is almost perfectly tailored for most riders. Nothing is perfect, right? Well, while I might prefer the traction control or ABS to be ever so slightly different on some occasions, I feel overall that BMW has absolutely nailed the electronics on this bike. The first thing you notice is the bigger fuel tank on the GSA, and the overall styling of the new generation liquid-cooled models. They do make the previous model look long in the styling tooth. I liked the previous styling. I like the new one better. Just to refresh your memory about the liquid-cooled engine it uses coolant to flow mainly through the top end on the boxer engine. The engine is what you might call semi-liquid-cooled, and the design is quite ingenious. 35 per cent of the cooling is handled by the radiator and 65 per cent by air and oil. Weight is kept down as the bike doesn’t need a huge radiator, and the engine feels smoother and more responsive as a result of the update into the 125 horsepower Wasser Boxer. The main engine change between the GS and GSA is a nearly one kilogram heavier flywheel, aimed at improving the low down tractability of the engine in all off road situations. It works. There’s also an extra vibration damper in the power train. And seeing the GSA has the smoothest boxer engine I’ve ever sampled, it must work too. 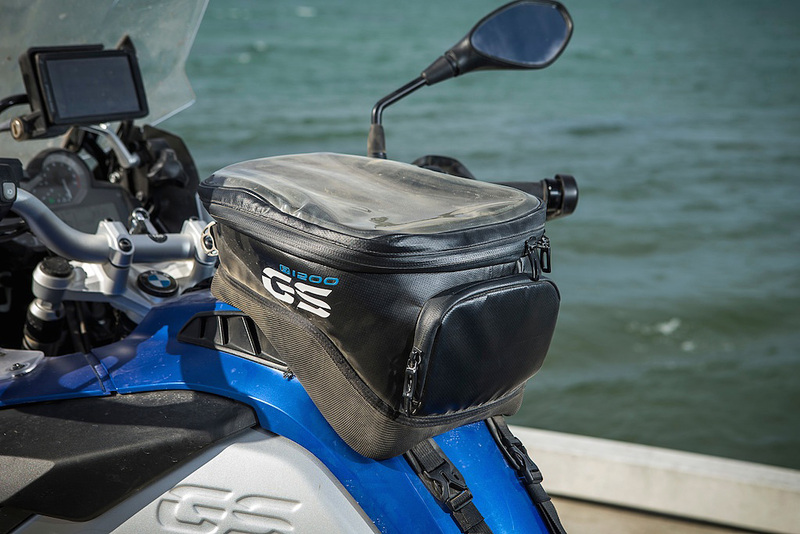 The fuel capacity on the GSA is 30 litres, 10 more than the GS. This is the major reason the GSA is some 22 kilograms heavier than the GS, with a 90 per cent fuel load. Suspension travel is increased by 20mm front and rear on the Telelever front end and the Paralever rear setup. Seat height is increased by 10mm. The big Adventure also comes with a steering damper, as does the GS. Wheel sizes are the same 19/17 inch combination on both the GS and GSA but the GSA gets the tubeless wire wheels whereas the GS comes standard with alloy but spokes can be a factory option. My test bike was fitted with the optional navigator GPS sytem which has been designed by Garmin especially for this bike. It can be operated by touch or also by the scroll knob on the left switch grip. Techno Mode BMW knows what its customers want so generally it imports bikes already optioned up. You can order a standard model but that would normally be a special order. It sounds like it’s in reverse from the norm but it’s a system which works. Each bike comes standard with ABS, Automatic Stability Control (ASC) and two riding modes – Rain and Road. Australian delivered bikes come standard with Dynamic, Enduro and Enduro Pro modes also. 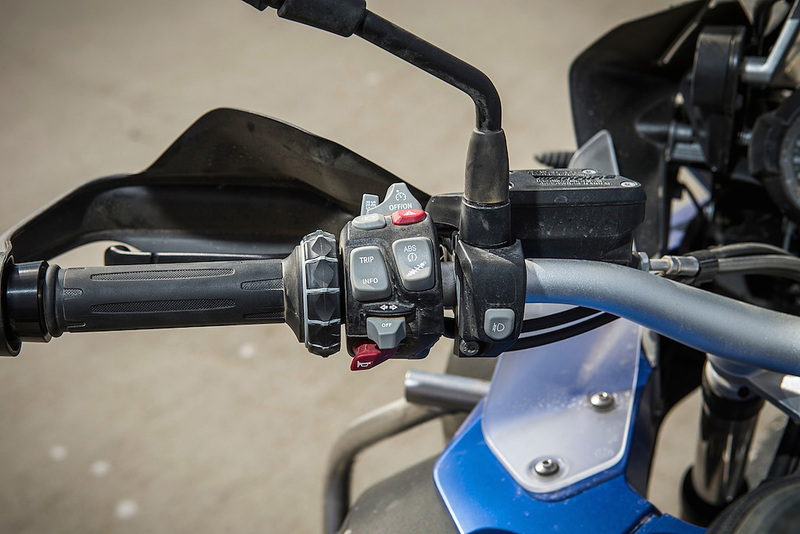 Enduro Pro is the least intrusive of the two off-road modes and it needs the rider to insert a special plug into the wiring loom which activates the ability to go full pro. This ensures the rider knows what they are unleashing. As you go through, or up each mode you open up more capabilities from the motorcycle. Rain: Power is reduced and ASC and ABS activates earlier. Road: More power and less intrusion from ASC and ABS but the ASC still kicks in reasonably early. Dynamic: When the road gets twisty selecting Dynamic Mode gets you a more aggressive initial power delivery. Once again, ASC and ABS settings are altered in line with the expected type of riding. Enduro: Most off-road situations are best tackled in this mode. You are able to drift the bike somewhat and the ABS is one of the best off-road set-ups you will experience. It allows you to still ride quickly and brake pretty hard without taking over to early. Enduro Pro: More of the same really, but allows the rider to ride very aggressively. ABS is also disconnected from the rear wheel so you can lock it up into a corner. One thing to remember here is the suspension is subtly altered as you go through each mode. In rain for example, it’s soft which allows the tyres to grip better and combined with the softer power delivery is perfect in crap conditions or the city. Dynamic on the other hand has the suspension automatically firmed up to cope with you cranking into corners and twisting the throttle hard open. Likewise with the two Enduro settings, they are changed to suit the expected terrain and riding style of the rider. You can also scroll through the riding modes while on the move. You can also turn off ABS and ASC. 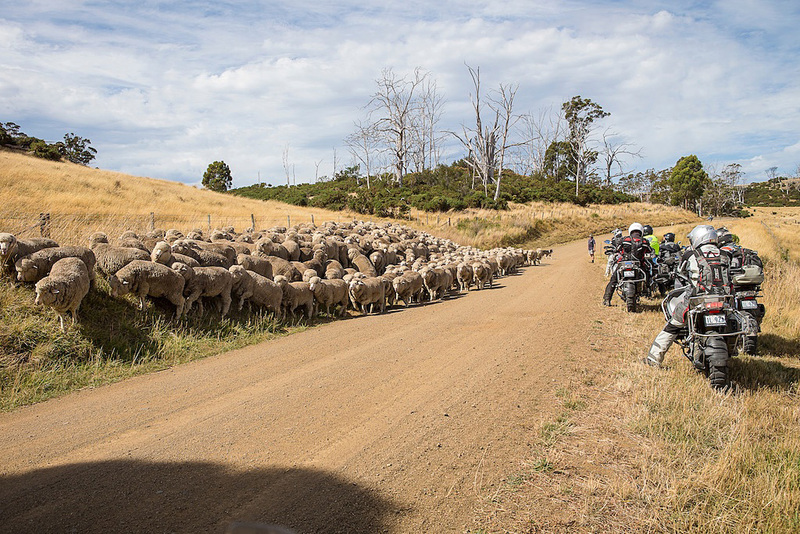 In my experience during the launch the ABS settings were so good I left them on, and while turning off the ASC in the dirt leads to much wheel spinning fun it also wears out the rear tyre ultra quick and can catch less experienced riders out in slippery conditions. 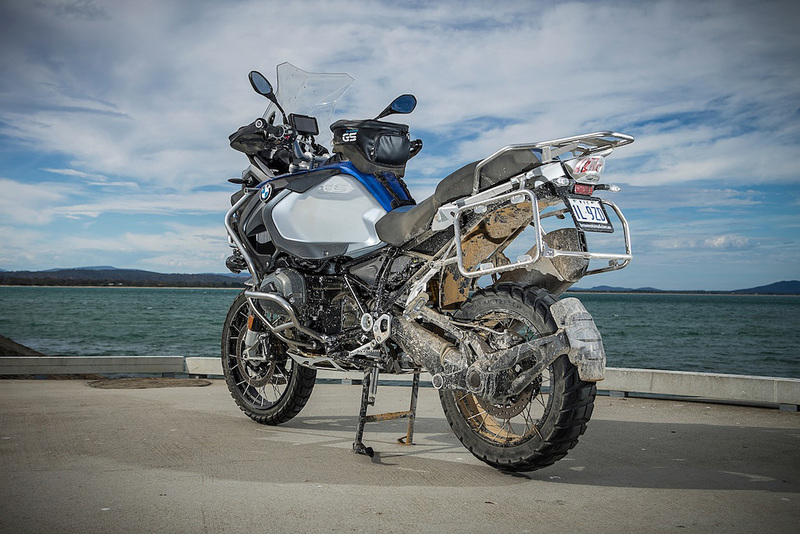 No matter how you look at it the R 1200 GS Adventure is still one big adventure bike with lots of grunt. Now for the pricing. Standard the GSA retails for $24,300. An extra $1800 gets you the Touring Package, which includes Dynamic Electronic Suspension Adjustment, on board computer pro, ?preparation for GPS device and cruise control. The Dynamic Package is $1400 and for that you get LED head lights, Riding Mode Pro – Dynamic, Enduro and Enduro Pro and a daytime riding light. If you want cruise control without the Touring Package or an anti-theft alarm you’ll be up for around $500 each. First up the bike is very comfortable. The seat can be adjusted for height, and the GSA has wider footpegs and a two-position rear brake lever for off-road work. Riding position wise it is easy on the body, and when either cranking hard on the road or tackling a rocky trail, all the controls are easy to use. In standard form the handlebar relationship to the seat and footpegs is almost perfect for me. I’m six foot and I wouldn’t bother fitting handlebar risers at all. From sitting to standing it was spot on, for me. BMW also nailed the screen shape. All too often your head gets buffeted around on adventure bikes, especially when you are wearing a peaked enduro or adventure helmet. Not so the new R 1200 GSA. I know it’s a subjective thing depending on your riding style and height etc but I had no buffeting. 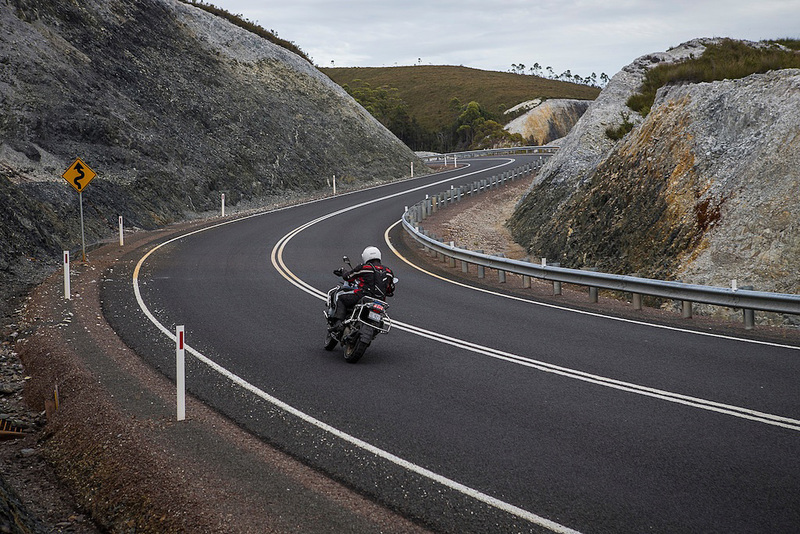 With such a big tank you can easily expect to cover over 500 kilometres on the GSA, and the whole comfort equation allows you to ride longer than most other adventure bikes I’ve ridden. I know some keen riders do 1500 kilometres in a day out west and so on but that’s not the norm. On the launch we rode from one side of Tassie to the other in one day on less than a tank of fuel. And this included around 200 kilometres of dirt. Now we’ve established that this bike is a comfy bugger but it’s also one of the fastest bikes I’ve ever ridden on the road. I don’t mean pure horsepower outputs but point-to-point. You can ride this bike insanely quickly, diving hard into corners under serious brakes. On tight winding roads I don’t think I’ve ridden anything quicker and I mean that. I’ve ridden bikes as good in the tight stuff but they have been road-focused machines. 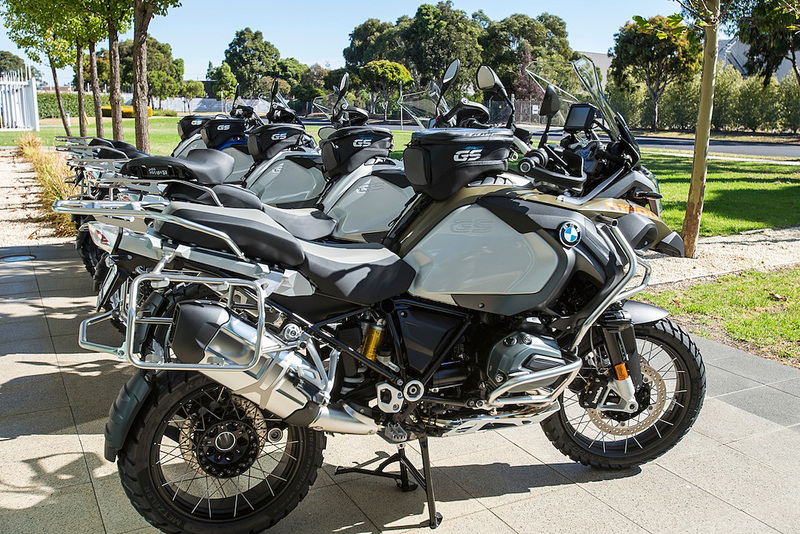 BMW says the GSA was designed to perform better on the road and in the dirt than the regular GSA. I can confirm BMW got the design right then. It’s hard to imagine a bike could be better in two completely different spheres of riding but the GSA is. 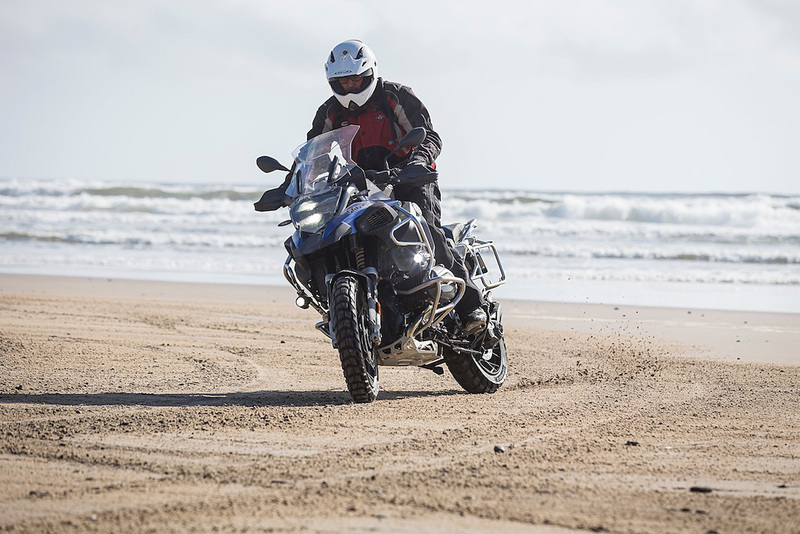 The test bikes were fitted with crash bars and I had occasion to sample their abilities on a couple of occasions, in the dirt and on the sand. The whole engine configuration and crash bar design allows the bike to sit on these and be picked up pretty easily. I must say the new R 1200 GS Adventure is one of the best motorcycles I have ever ridden. I honestly found it hard to fault. It’s very comfortable; handles like a race bike on the road, and can go just about anywhere off-road, as long as your ability and resolve allow you to push those boundaries. 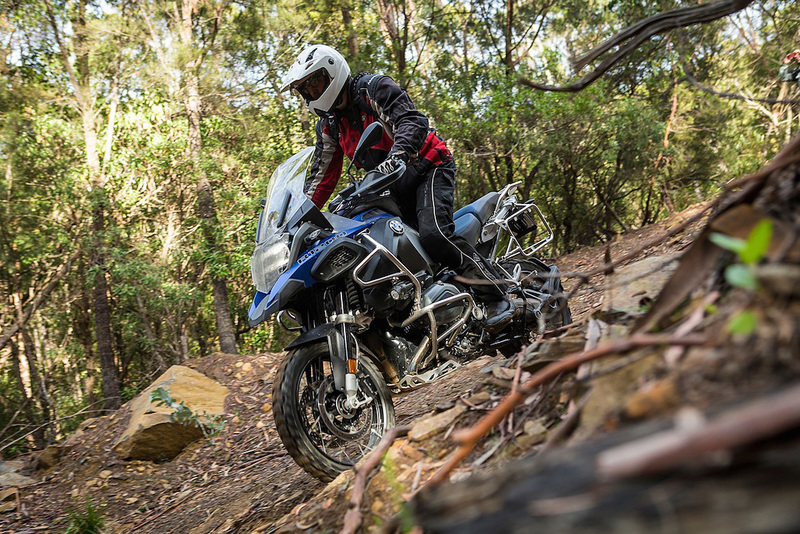 The main competition for sales for the GS and GSA will come from Triumph’s 1200 Tiger Explorer and KTM’s 1190 Adventure. They are simply the best big capacity adventure bikes on the market. The others are more soft roaders, happier on roads more so than trails. Which one is the best? Hard question to answer because each bike has something over the other two, and each has their own characteristics I really like. 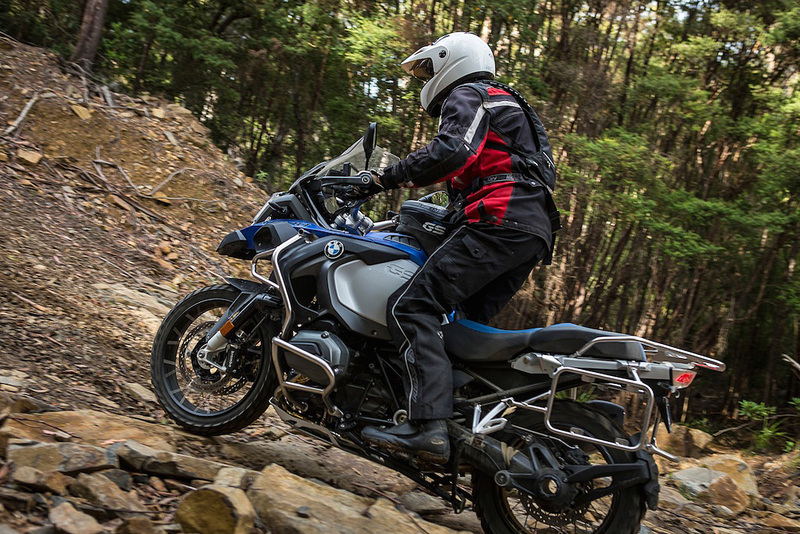 One thing’s for sure though, I feel the new GSA is the best adventure bike BMW has ever built. Achtung adventure riders. Get on board. We took around 30 Cycle Torque readers to Vietnam and brought back this video of the Tour… Read the full story in the forthcoming May 2014 issue of Cycle Torque.